When I stumbled across Cary Michael Robinson’s work, I knew I had to have him on the show. He’s got his hands in a lot of different aspects of art and design, and has even turned that into a series of entrepreneurial ventures in the DMV area. We started off talking about Cary Michael’s day job with the United States Patent and Trademark Office, and he gave a breakdown as to the importance of patents, trademarks and copyrights for creative makers. 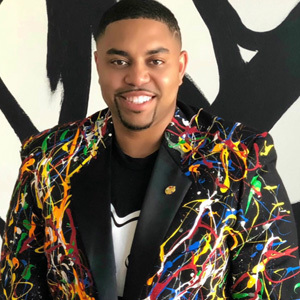 From there, Cary Michael shared his story of learning art at FAMU, and even shared some tips for designers on how to nail their own personal brand. Cary Michael is a true testament to living your life’s purpose through your passion, and I hope his story helps you pursue your inspirations!